If you have followed this series of weekly ‘GDPR and the new Data Protection Act (DPA) for Customer Experience people’ since they started then you could probably do with a break. And maybe a bit of a sanity check? We have said before that the GDPR and new DPA needn’t be cataclysmic or devastating – for most organisations at least. But maybe it’s all still needlessly complicated? So, how could we tell? Well, in my experience if you want to get a sense of clarity about an issue, then ask someone from the Netherlands. Although it may sometimes sound a little brutal to British ears, a Dutch man or woman will invariably give a simple, direct assessment of a situation. 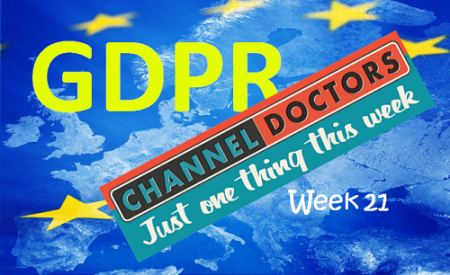 So, when Donna Dodsworth of our friends at the Contact Centre Panel forwarded us an article by Julien Spronck and Meryem Sabotic-Deniz of the Dutch arm of accountants BDO (looking at the food sector, but that’s not especially relevant) we were intrigued to see what they thought about the GDPR. the need to collaborate with business partners,the need to collaborate with business partners,the fact that some aspects of the new regime can’t be precisely defined but will be very contextual for each organisation,that making honest efforts to be transparent and compliant is as important as reaching an imagined perfect state.So, not that different to what we’ve been saying. Like we said, give yourself a break from starting any new activities this week and reassure yourself that a sanity check from across the North Sea suggests we’re heading in the right direction.